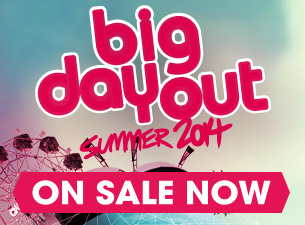 We have 3 rare jewels in the 2014 Big Day Out crown playing full concert sets, all major headliners in their own right, all coming together in the spirit of Big Day Out to deliver a unique event. We hope you will join us; it's going to be wonderful. Big Day Out is biting back once more with the return of the delicious CHOW TOWN. Lead by Ben & Elvis (of Porteno/Bodega - Sydney Morning Herald's Chefs of the Year), Chow Town changed the landscape of festival food in Australia when it launched in 2013.